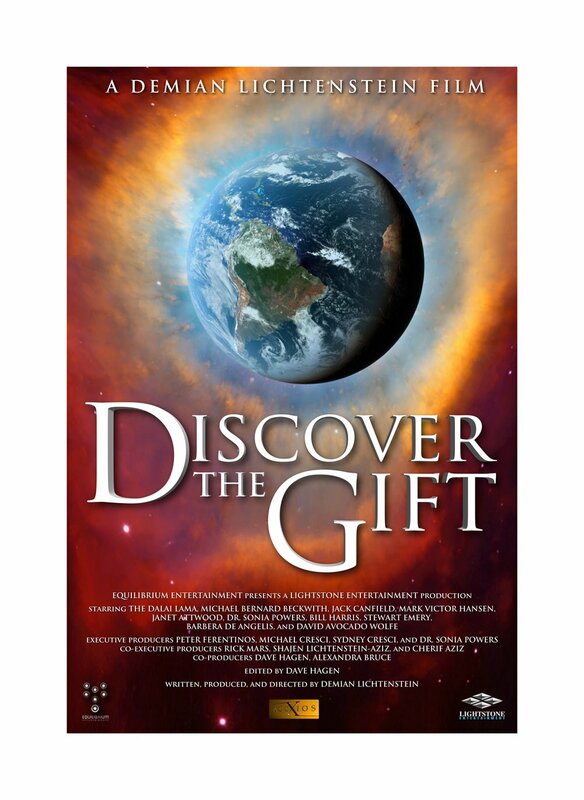 Discover The Gift is a feature-length documentary created, produced and directed by Demian Lichtenstein and Co-Produced by Shajen Joy Aziz, Cherif Aziz and Dave Hagen. The motion picture stars transformational teachers and leaders such as: His Holiness the Dalai Lama, Jack Canfield and Mark Victor Hansen of the Chicken Soup for the Soul series, Sri Sri Ravi Shankar, Michael Bernard Beckwith, featured speaker of The Secret, and author of Spiritual Liberation. Other luminary teachers and educators include Dr. Sonia Powers, Dr. Sue Morter, Janet Attwood, Bill Harris, Stewart Emery, Dr. Terry Cole Whittaker, Mary Manin Morrissey, Dr. Barbara De Angelis, David Avocado Wolfe, John Castagnini, Sri Sri Ravi Shankar, and an amazing cast of other accomplished spiritual teachers. Demian Lichtenstein and his amazing collaborative team illuminate a very complex topic with profound simplicity. He masterfully leaves the viewer in a state of deep reverence, with an open heart and motivation to go deep within their own journey so they may too, Discover Their Gift.